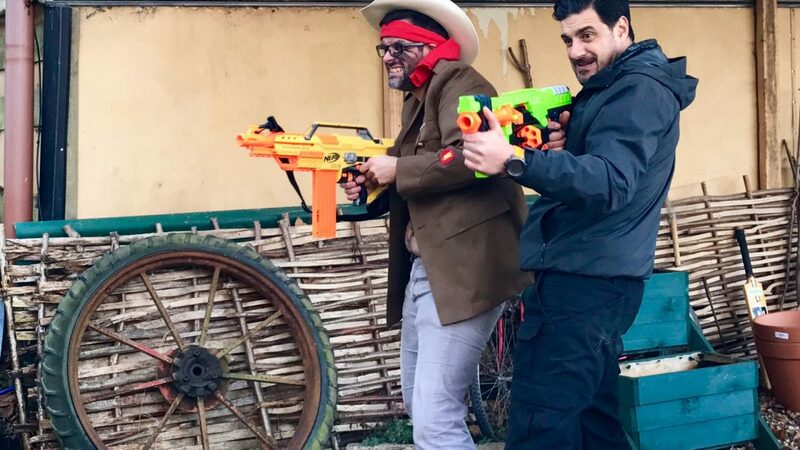 This series sees best mates Alexis Conran (Actor, TV presenter and technophile) and Marcus Brigstocke (Comedian & technophobe) put all manner of hi- and lo-tech gadgets to the test in their own inimitable way. Every episode takes on a different element of a modern man’s life as Gadget Geek Alexis attempts to persuade the more ‘traditional’ Marcus that technology is always best. There’s non-stop banter as the boys battle it out to prove one of them is right in a  variety of scenarios from Lazy Sundays to Winter Sports. Whether it’s pitting Alexis’s self-inflating tent against Marcus’s 1970s camping equipment, comparing the instant ‘pleasures’ of an on-the-go boiled egg to the merits of good old-fashioned fry up or simply pondering the benefits of an app-controlled world– Alexis is determined to drag Marcus into the 21stCentury and discover the true Joy of Techs.